You might’ve seen skincare and beauty products packaged in gold on shelves everywhere. It’s become one of the latest crazes in recent years, but it has been used by the Japanese and Egyptians long before big beauty brands started manufacturing them. You may think gold-infused skincare products are extra and indulgent, but experts say there’s a reason why an ancient skincare trend is back and why it’s here to stay. Pixi 24K Eye Elixir, P1,538Gold reportedly activated the basal cells of our skin, which boosts its elasticity. This will then help reduce the appearance of wrinkles, fine lines, blemishes, and other marks—making you look younger. Esfolio Gold Essence Mask, P89Gold is said to have anti-inflammatory and anti-bacterial properties that can help calm acne, allergies, and other skin disorders. However, it shouldn’t be used as treatment or remedies—incorporate it to your skincare routine and you might see results long-term. 24K Wrapping Gold Mask, P800Ions in gold aid in stimulating the cells in our skin, as well as our nerves and veins. This will then lead to increased cell metabolism, making your skin more revitalized and healthy. Breylee 24K Gold Eye Mask, P432Because small particles are absorbed into the skin, it leaves it with a glow. Gold helps in blood circulation, therefore improving our skin’s hydration levels. Aside from that, it also slows down collagen depletion, increasing the skin’s elasticity. 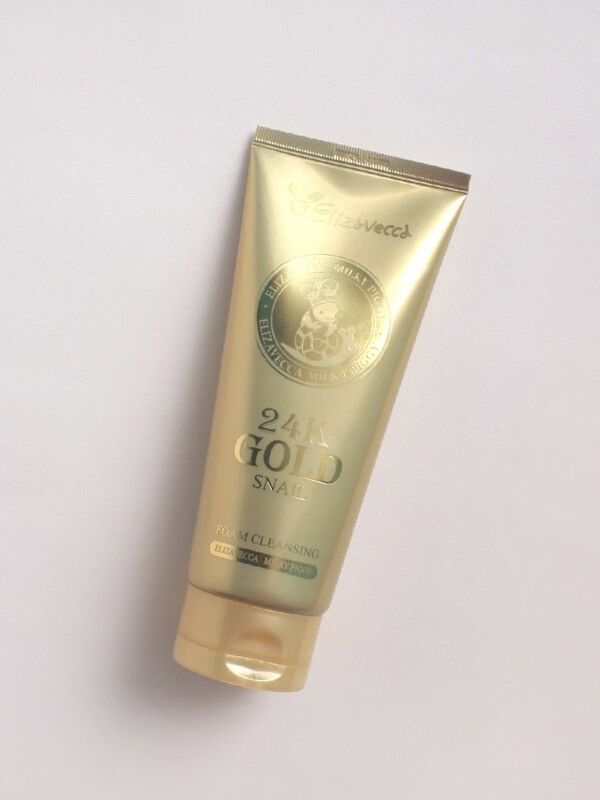 Elizavecca, 24K Gold Snail Cleansing Foam, P300Consistent use of gold can help strengthen the skin’s barrier against negative environmental elements. Factors like pollutants and UV rays can damage the skin and speed up signs of ageing. Products with gold can help decrease the production of melanin and protect the skin from sun damage.